It’s that time of the year when we should all look at our skincare routine and see what nourishing skin care products we should stock up on to try and prevent dry skin conditions which are common in colder weather. When it comes to body care I have several different organic and natural products I turn to when my skin needs a bit more attention. Organic body lotions from Neal’s Yard Remedies are just some of the body products I use. I’ve had them for a while actually and they came for free in one of the magazines. It’s a good thing they can stay open for up to a year as I’ve been using them for a while now! If you are a regular reader you will know that Neal’s Yard Remedies are a brand which I’ve been a fan of for a long time. 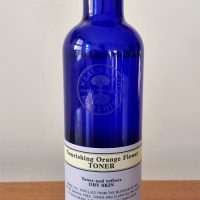 In the past I’ve tried several of their products such as Nourishing Orange Flower Toner, Purifying Palmarosa Facial Polish, Rejuvenating Frankincense Toner and Geranium & Orange Hand Cream, just to mention a few. I am actually still using their facial polish which I love and recommend. When it comes to their organic body lotions, I tried two of them: Geranium & Orange Body Lotion and Bee Lovely Body Lotion. I really love their Bee Lovely body lotion. It has an amazing citrusy smell which is just divine. The one I got in the magazine came in a 100ml tub but I cannot find this exact product on their website – instead, you will find this lotion in a big blue bottle of 295ml which comes with a pump. The formula is the same though so your skin will still be nourished by moisturising organic honey blended with organic orange and mandarin essential oils. I found both lotions light and easy to spread with no greasiness felt afterwards. I’ve been using them mostly on my legs, after shaving, and for this purpose they work great, I would just mention that Bee Lovely did cause slight stinging after applying it on freshly shaved legs. I didn’t have the same issue with Geranium & Orange Body lotion. Both lotions are certified organic by Soil Association and you won’t find any potentially harmful ingredients in them such as parabens, mineral oils, glycols, synthetic colours and fragrances, etc. If you prefer flowery scents then Geranium & Orange body lotion is for you. Geranium smell is definitely dominating the orange one in this product. So which one do I prefer? Bee Lovely body lotion is definitely my favourite and that’s just because of its divine scent. But I also love the fact that by buying this product you are helping to save the bees. 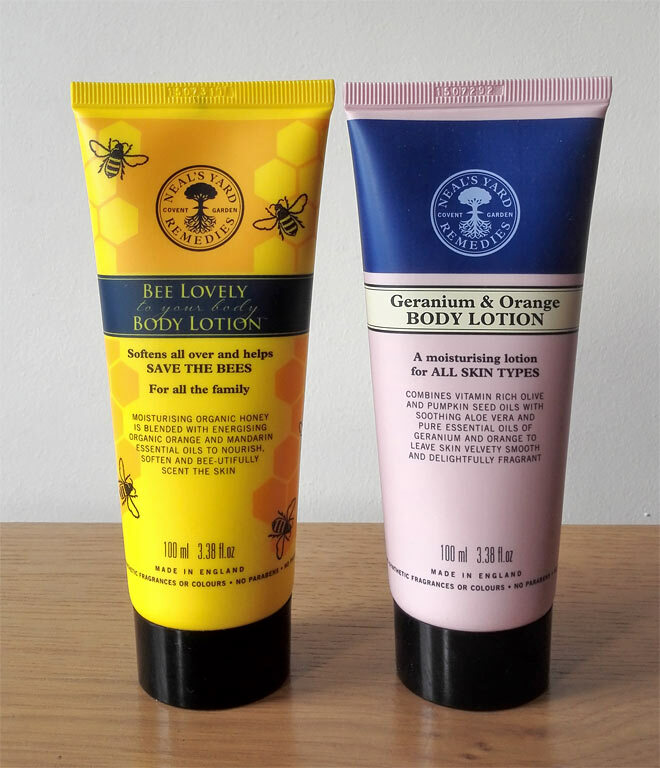 I also own Bee Lovely hand cream (which I love) and there are other products in their Bee Lovely collection worth considering, just take a look at this page. What is your favourite body lotion? Have you tried any body lotions from Neal’s Yard Remedies before? I am very tempted by the Bee Lovely body lotion…Love everything coming from Neal’s Yard actually :-)!